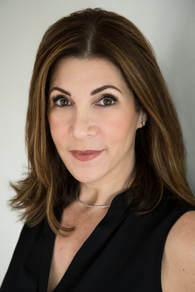 For nearly two decades, Leslie Oren has been a public relations and image-management executive and consultant in Los Angeles, working primarily in television. Babygrande PR, founded by Leslie in 2008, specializes in entertainment public relations, with an emphasis on content creation. Orchestrating campaigns that encompass corporate strategy and communications, as well as development, distribution and programming, clients include Pilgrim Media Group; the Leftfield Entertainment group (including Leftfield Pictures, Loud TV, Outpost Entertainment and Riot Creative); True Entertainment; Original Media; 3 Ball Entertainment; A+E Networks/FYI; the Z Living network and the Non-Fiction Producers Association (NPA), with longtime/project clients including Fox Television Studios and Game Show Network, among others. In addition to representing television studios, production companies, producers and networks (as well as select non-television corporate clients), Babygrande also has handled personal PR for key television and film executives, as well as for various entrepreneurs across multiple disciplines. Prior to forming Babygrande, Leslie was senior vice president, publicity and corporate communications, for Fox Television Studios, where she oversaw publicity for all of the studio’s development and current programming, as well as all corporate communications. Leslie served as vice president, publicity, at Warner Bros.’ Telepictures Productions, where she launched and oversaw publicity for the Emmy award-winning The Ellen DeGeneres Show and ABC’s The Bachelor, as well as various syndicated series. She also ran publicity for Disney Interactive, and was on the launch team of the Comcast-owned cable network, G4 (now Esquire). Leslie’s agency background includes Edelman Public Relations Worldwide, Cohn & Wolfe and The Bohle Company. ​Leslie is also the author of the book Fine, I’ll Go Online! The Hollywood Publicist’s Guide to Successful Internet Dating (St. Martin’s Press, November 2007).